The state of world soccer has to be on an insane axis to think that the world’s most expensive transfer will be taking part in a league that doesn’t have nearly as massive a following as Spain’s La Liga and the English PL enjoy (especially here in Amercia). However, Nike made a massive investment in the player involved in that move from FC Barcelona to PSG, and the Neymar Vapor and Superfly will be hoping to grace a few big stages in order for the Brazilian attacker to get his footwear as much focus as he can. 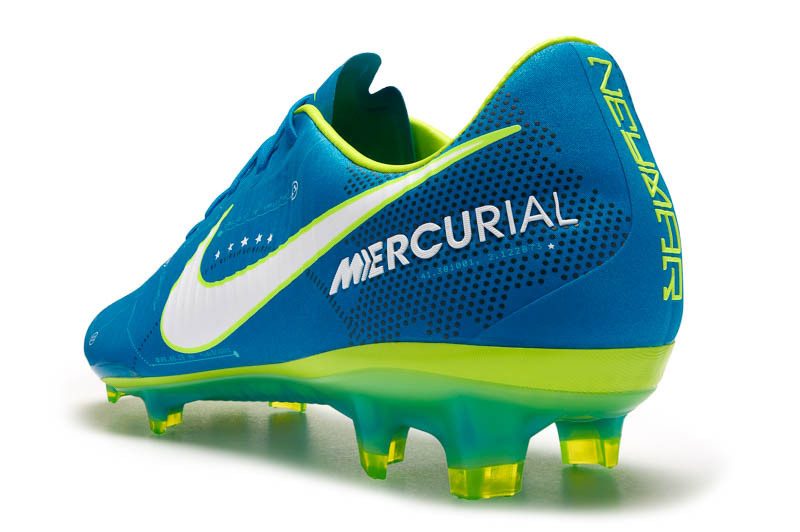 So, we decided to see what Neymar’s special boots might be able to offer that we couldn’t get from the standard Mercurial. The standard Superfly and Vapor are very impressive boots…so what happens when it has to stand up against Neymar’s signature version? Let’s take a look. 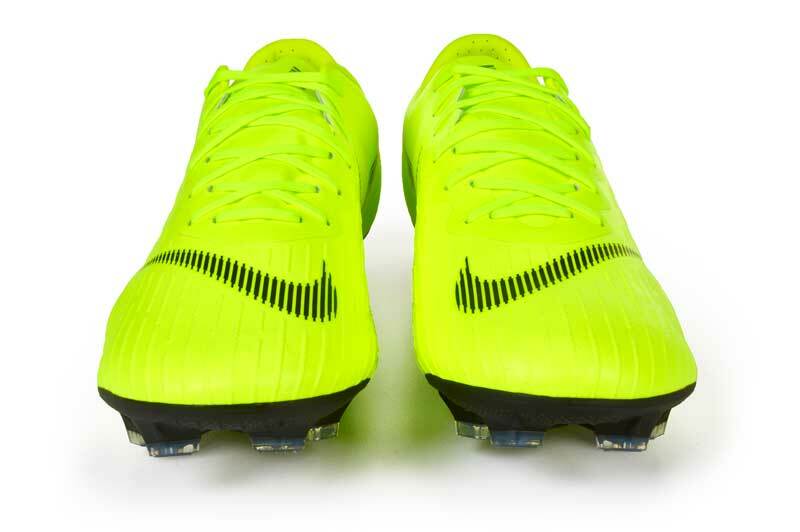 The first thing you notice on the Neymar boots is how player specific Nike has made these boots. From the “NEYMAR” emblazoned on the heel, to callouts for his son, sister, major goals scored, Neymar’s top-speed, and some big-time references to Brazil, these boots might have more aspects of Neymar’s history than any other signature model that we’ve seen before. 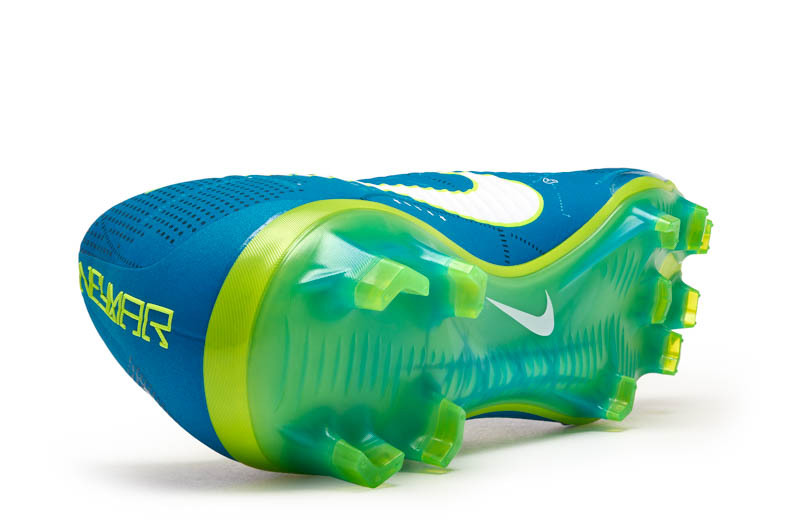 As far as the colorway, the light blue makes the boot look extremely light, and it wouldn’t be surprising to see if anybody felt that this model is the best looking SuperFly and Vapor on the market. 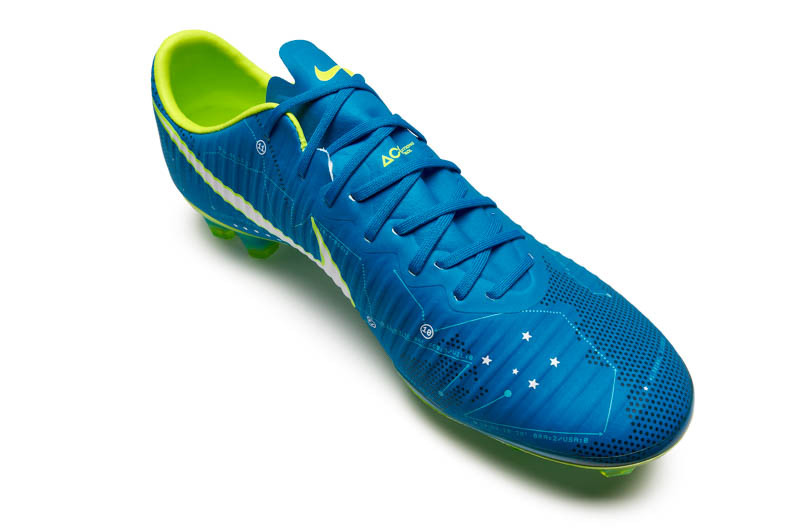 In terms of looks, the Neymar Mercurial could easily lay claim to being superior to its standard brother. However, the table seems to turn once we get into the performance aspects. 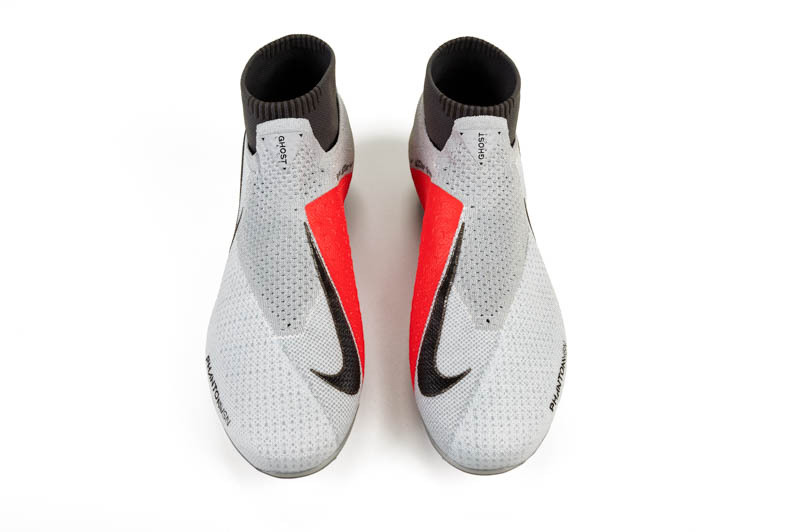 The regular Mercurial Superfly is a boot that utilized more of a free flowing FlyKnit than the IV and showed Nike the path to using different densities of FlyKnit to create unique structures and feels. Without the SuperFly V pushing the bar, it’s tough to think that the current Obra II, HyperVenom III, or even Tiempo would be as impressive. The Neymar SuperFly uses that FlyKnit base that we’ve seen before, but adds on a thin layer of coating on top of the FlyKnit to give an extra bit of responsiveness, a different feel, and that makes a fairly significant difference between the SF V and the Neymar SuperFly. While we still loved our time in the boot, the Neymar SuperFly (because of the added layer) doesn’t have the same level of comfort out of the box. While the comfort does take a little bit longer to shine, it’s not going to give you a rough ride. The layer is too thin to really change the touch in a negative way, but we still find ourselves preferring our FlyKnit unsullied by added layers. 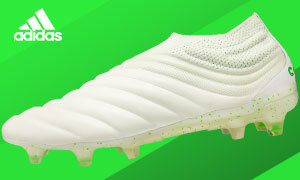 Considering that we were rather worried by the Neymar SuperFly and Vapor (it scared us a bit with the slight stiffness in our hands when we took it out of the box), it actually has been a very fun boot to test. The biggest negatives for us simply arise from our boot nerd roots. 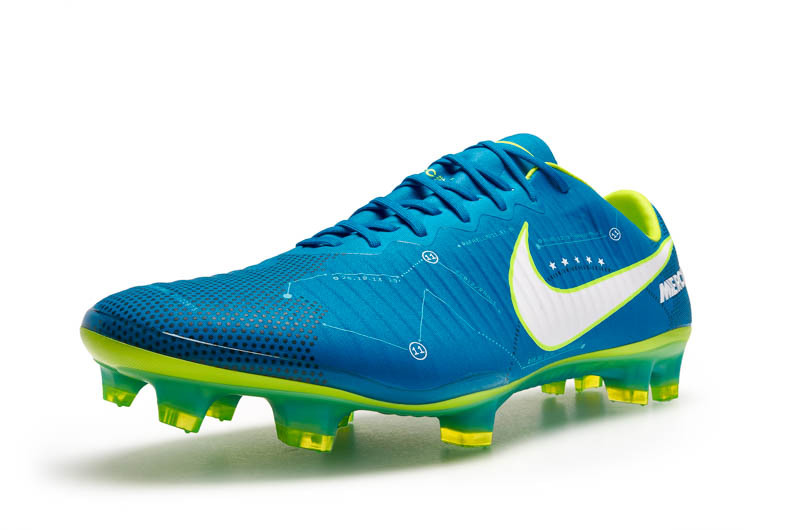 The first aspect is simply that the Neymar SuperFly shouldn’t exist. 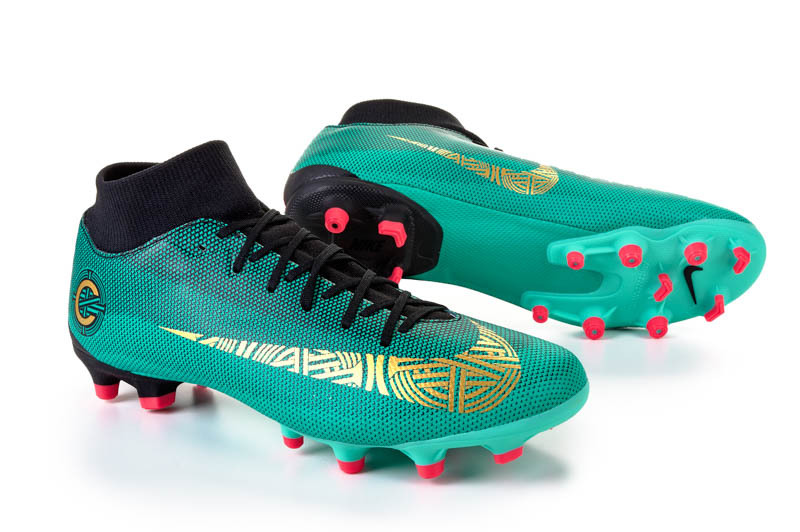 If Neymar wouldn’t wear it, it’s tough for us to really see it as a true signature model (we fully support the Vapor version of Neymar’s boots). The second is a lot of this boot is dedicated to Barcelona…and, well…it should be obvious why that hasn’t aged well. If you’re in the market for the SuperFly V, the Neymar SF is not going to offer the same unencumbered FlyKnit feel, but it can give you the top-tier SuperFly experience with a few twists. Add in a colorway that jumps off the pitch, and this is a quality release from Nike. If you’re in the market for the Nike Mercurial Vapor then this is probably more suited to your tastes as the Vapor version is truly superb. Whether you want to support PSG’s new boy or just snag some sweet new kicks, we’ve got the medicine at SoccerPro.